Proton, ACD and the CDL. Later the VSCVU also joined. Stichting PAC organises the PAC-Symposium each year. 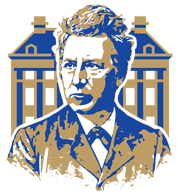 The PAC-Symposium is a symposium organised for chemistry students by chemistry students and it is the largest symposium of it's kind in The Nederlands. The location of the Symposium changes each year between the city's of the four organising studieassociations. On this page you can find more information about the PAC-Symposia of the last years.